Quinoa is a healthy grain rich in protein, fiber, antioxidants and vitamins. It is essential to incorporate whole grains and seeds in your daily diet. There are lot of Indian dishes you can make using quinoa. 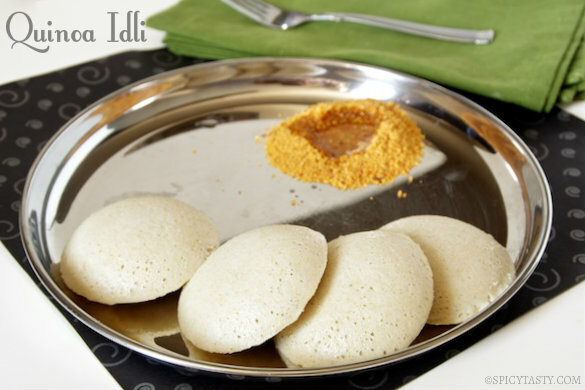 Idli is one of the staple Indian breakfast dish. It will be a great start for your day after having these super healthy Quinoa Idlis. Wash and soak rice, quinoa for 4 hours. Wash and soak urad dal for 1.5 hours. Soak everything separately. Grind urad dal separately. Sprinkle water in between. Batter should be light and fluffy. Remove from grinder and transfer it to a closed container. Grind rice and quinoa separately until you get a smooth batter. Add salt and let it ferment overnight or for 8 hours. Prepare the idli plates. 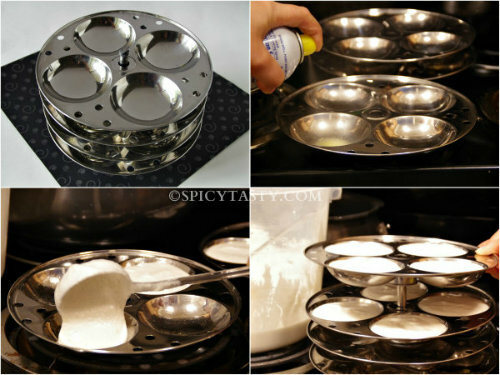 Use can spray for greasing the idli plates or grease with oil. Add a ladle full of batter in each hole. Add a cup full of water in a pressure cooker and place the idli plates. You can also cook idlis using idli cooker. 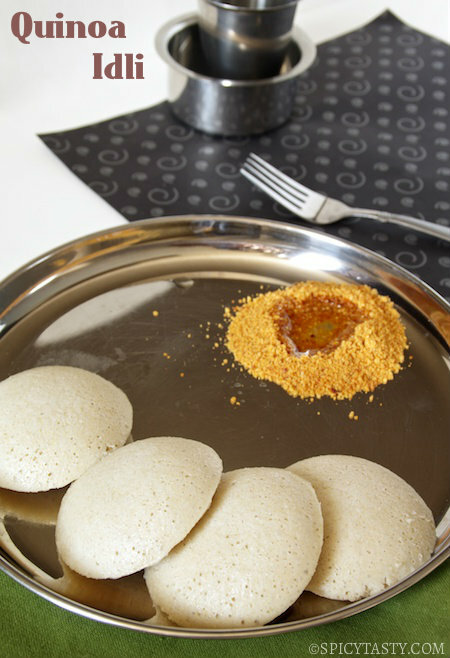 Steam cook idlis for 10 to 12 minutes. Turn off the stove. After 10 minutes, remove the lid and let the idlis cool. Remove the idlis from plate and serve hot.